Moooove over cow and goat’s milk, oat milk is the latest lactose-free, protein enriched, low in fat, flavorful choice for the vegan and lactose intolerant lifestyle. Consumers are turning to oat milk because it can be a healthier choice for those who are allergic to the lactose in milk, as well as nuts and gluten. Oat milk can be purchased or homemade. Some opt for the homemade version so there is less risk of cross contamination with wheat, rye, barley and nuts at the manufacturing plant. This is of great importance for those with allergies or celiac disease. 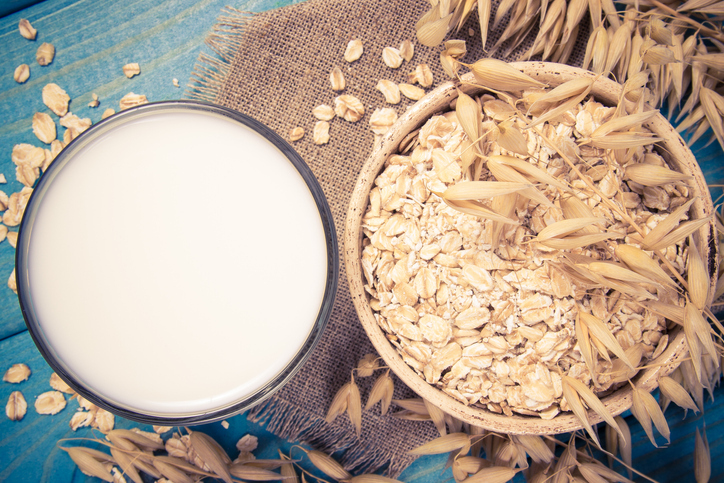 Oat milk tastes good, comes in flavors and can be used for coffee, cereal or in any way you would use cow’s milk or a milk alternative. This entry was posted in Health, lifestyle and tagged #glutenfree, allergies, celiacdisease, cowsmilk, lactose, lactoseintolerante, nonvegan, protein, skimmilk, vegan by Joann Ariola. Bookmark the permalink.